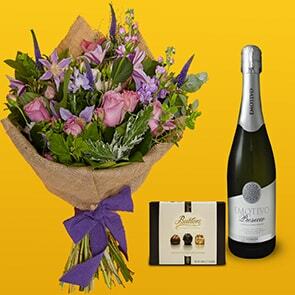 We believe that when you send flowers to someone, both you and the recipient deserve a memorable experience. This is why we focus on not only offering enchanting arrangements, but also on providing unprecedented service. Each of our bouquets is mindfully pieced together one fresh-cut bloom at a time, hand-tied into a beautiful presentation, and delivered at its peak, thus ensuring it will be absolutely breath-taking upon arrival and last an extraordinarily long time. 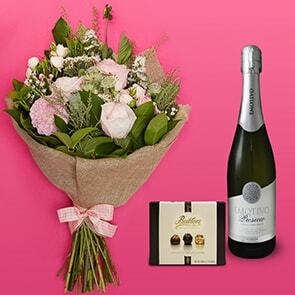 With same-day delivery Dublin and next-day flower delivery Ireland, Bloom Magic makes it easy for anyone to give an unexpectedly delightful gift, even on short notice. Our bespoke catalogue hosts a wealth of unforgettable bouquets, expressly created for us by Ireland’s top artisan florists. Inspired by timeless classics, with essences from across the globe, and honouring Mother Nature, our selection offers something suitable for any taste or style. Moreover, each is made with locally-sourced blooms and is designed to minimise packaging, providing an ethical offering and allowing its natural beauty to speak for itself. Choose for birthdays, anniversaries, holidays, and other occasions and add in specialty items such as gourmet chocolates, a vase, or a personalised note to create a one-of-a-kind gift that’s truly remarkable. When you send flowers from Bloom Magic, you can do so with complete confidence that your recipient will be given a premium fresh bouquet, designed to create memories and convey the depth of your emotions. Our staff is available to assist via live chat, email, and phone, should you find you need assistance or you can browse our catalogue now and place your order knowing that your selection will be backed by Bloom Magic’s quality guarantee.